What is the most important thing I should know about Frontline Plus? 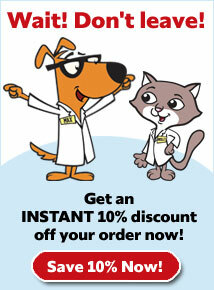 Frontline Plus provides convenient and effective flea and tick control in dogs and cats, puppies and kittens. 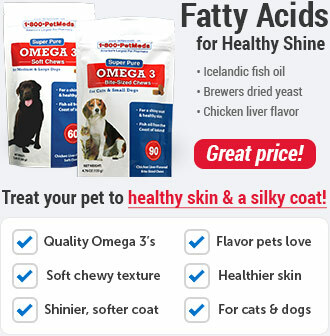 It is effective against all stages of the brown dog tick, the American dog tick, lone star tick and deer ticks (the major carrier of Lyme disease). 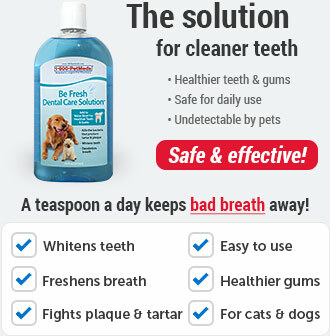 It also kills flea eggs and flea larvae. 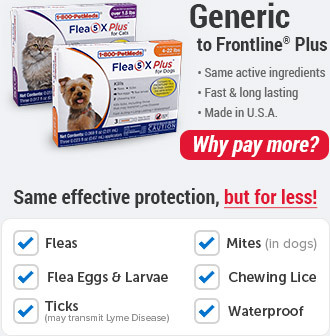 Frontline Plus rapidly eliminates infestations with chewing lice. Frontline Plus for Dogs and Puppies also aids in the control of sarcoptic mange infections. How should Frontline Plus be applied? 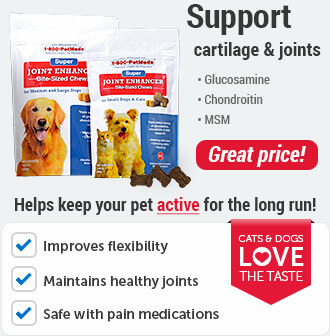 Use Frontline Plus for Dogs (fipronil 9.8% and S-methoprene 8.8%) on dogs and puppies 8 weeks or older. 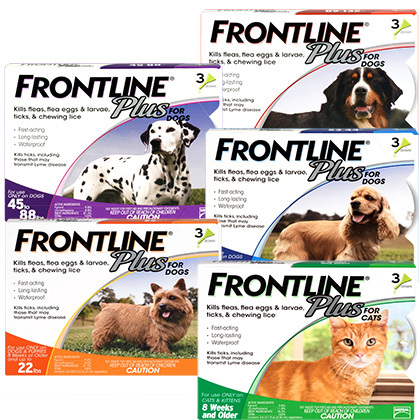 Frontline Plus for Dogs is available as 0.67 ml applicators for use on dogs and puppies up to 22 lbs, 1.34 ml applicators for dogs 23-44 lbs, 2.68 ml applicators for dogs 45-88 lbs and 4.02 ml applicators for dogs 89-132 lbs. Wait 24 hours to fully dry before swimming or bathing. Do not reapply for 30 days. Use Frontline Plus for Cats (fipronil 9.8% and S-methoprene 11.8%), available as 0.5 ml applicators, on cats and kittens 8 weeks or older. Place the applicator tip through the animal's hair to the skin level between the shoulder blades. 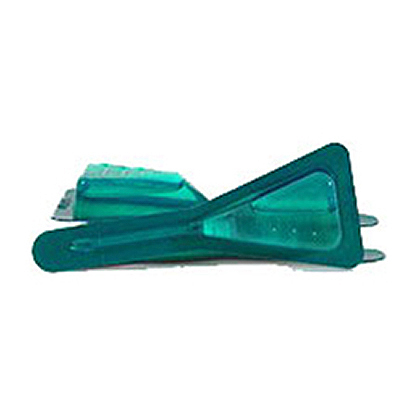 Apply the entire contents of the applicator in a single spot to the animal's skin. Use only one applicator per treatment. What are the potential side effects of Frontline Plus? What happens if I miss giving a dose of Frontline Plus? What happens if I overdose my pet on Frontline Plus? What should I avoid while giving Frontline Plus to my pet? Keep away from heat and open flame. 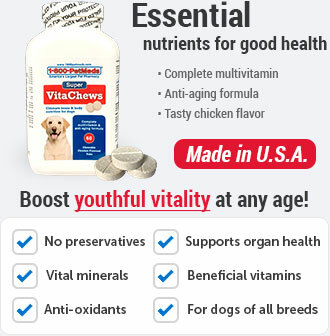 This product is harmful to humans if swallowed. Call a physician or poison control center for advice. Have patient sip water do not induce vomiting unless advised to and patient is conscious. This product can cause eye injury. Flush eyes with plenty of water. Call a physician if irritation persists. Avoid contact with skin, eyes or clothing. Wash thoroughly with soap and water after handling. Remove the Frontline Plus applicator from the child-resistant package. You can use scissors to snip the foil, or pull the tab to remove the applicator. Part your pet's hair between the shoulder blades until you can see the skin, and place the tip of the applicator on the skin.